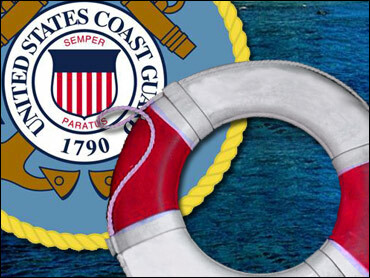 Authorities say 11 people were rescued from a sinking boat that was nearly half-filled with water on the Canadian side of the Niagara River. Lt. Carolyn Moberley of the U.S. Coast Guard says the 40-foot yacht struck rocks Sunday night about a mile from Peace Bridge, just north of where Lake Erie enters the river near Buffalo, New York. No injuries were reported. All 11 people boarded Buffalo police and Coast Guard watercraft and were taken to a Buffalo dock. Moberley says the boat remains tied to a buoy in the river and will be towed to shore later Monday.